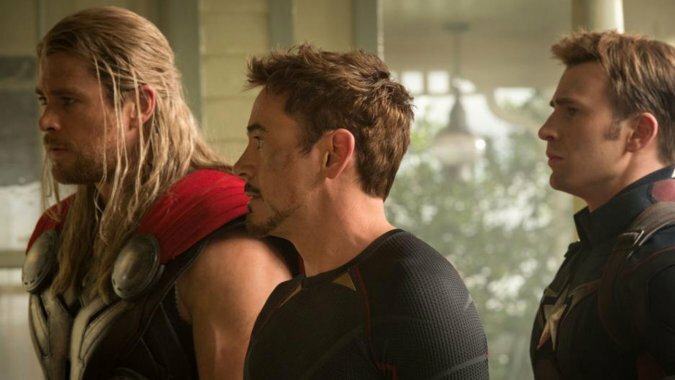 Avengers: Age of Ultron, the latest installment from Disney's Marvel unit, exploded in its overseas opening, taking in $201.2 million as it debuted at the international box office. It was the No. 1 movie in all the territories in which it opened, representing 55 percent of the entire international market, exceeding the first installment in the series by 44 percent in today's exchange rate, according to Disney's calculations. Directed by Joss Whedon, the movie, which opens stateside Friday, bowed in much of the European and the Asia-Pacific markets, although it doesn't open in China until May 12 and Japan until July 4. "If you look at it from the point of view of the local currencies, this is much bigger than the first Avengers," said Disney executive vp theatrical distribution Dave Hollis. "It's a testament to the momentum of the brand and the consistency of unbelievable storytelling and world creation that the folks on the Marvel side are known for." Meanwhile, fending off a challenge from the new romantic fantasy The Age of Adaline, Universal’s Furious 7 held on to the top spot at the North American box office for the fourth weekend in a row as it took in an estimated $18.3 million, bringing its domestic tally to $320.5 million. On the international front, Furious 7 crossed the $1 billion mark, making it only the third film, following Avatar and Titanic to hit that benchmark. That brought its worldwide total to $1.3 billion, making the movie the fifth biggest grosser in history as it eyes moving up above the current number four, Harry Potter and the Deathly Hallows: Part 2, which collected $1.34 billion. In China, Furious 7 has amassed $323 million in 15 days, beating Transformers: Age of Extinction's record of $319 million. "That China number is obviously outstanding," said Universal Pictures International president Duncan Clark. "But while China gets the most attention, we did $200 million in Latin America, $25 million in India, $26 million in Taiwan." Adaline, starring Blake Lively, won the box office race on Friday, with nearly $5 million from 2,991 theaters, slightly ahead of Furious’ $4.9 million for the day. But the new film, from Lakeshore and Sidney Kimmel, which Lionsgate is distributing, settled into third place for the weekend with $13.4 million. Directed by Lee Toland Krieger, the PG-13-rated movie cost about $30 million, with Lionsgate and Lakeshore splitting the budget between them, and is looking to hang in as counterprogramming as bigger movies begin rolling out in May.